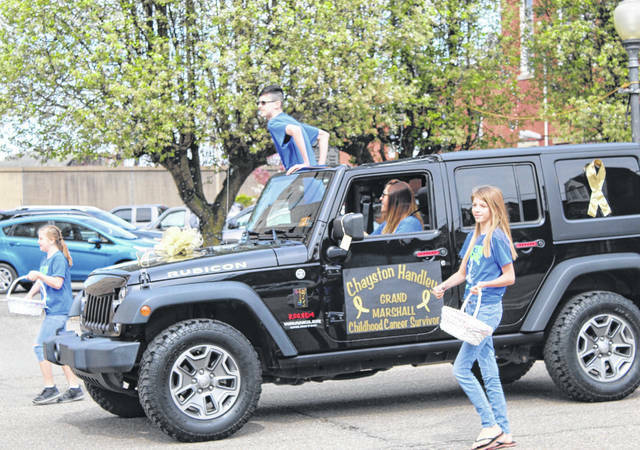 Chayston Handley, pictured emerging from the sunroof of the Jeep, led this year’s annual Easter Parade in downtown Point Pleasant, held this past Saturday on Main Street. Handley, a childhood cancer survivor, was the parade’s grand marshal. More on this year’s parade in Saturday’s Point Pleasant Register for Easter weekend. Photos from Saturday’s Easter egg hunts in Point Pleasant and Mason appear inside this edition and online at www.mydailyregister.com.